Zhangjiagang Great Machinery Co.,Ltd. is located in the new river port city-Zhangjiagang, which is about 2 hours distance by car from Shanghai international airport. We specializes in research, develop and manufacture high precision plastic injection equipment ,such as Injection molding machine,Blow molding machine, PET bottle blowing machine and Plastic mould . Our production workshop over 90,000 square meters, with a forecasted output reaching approximately 1000 sets annually. We are the key unit of China Plastic Machinery Association, High-tech Corporation in Jiangsu Province. Our company established in 1991.For about 20 years study and endeavor; we have great development in plastic industry field. 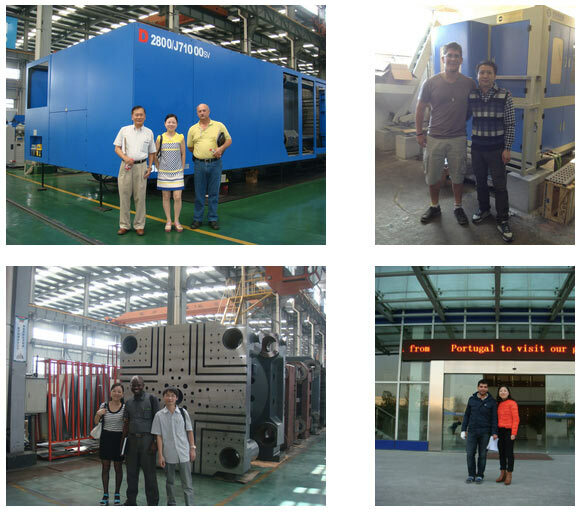 Our machines and moulds have been exported to many countries in Southeast Asia, Middle Asia, South Africa, South America, Europe, Canada , New Zealand and Russia. All of our clients give high reputations for our machines and services. Adhering to our long-established corporate spirit of “Serious for each Customer” we will do our best to offer customers the best quality products and service at the competitive prices, to meet the variable challenges and keep advantage in the new century. Look forward to your visiting and cooperation. Great machinery, Molding your dreams!